THREE groups of prospective international investors will arrive in Zambia today to explore opportunities in the energy and mining sectors. 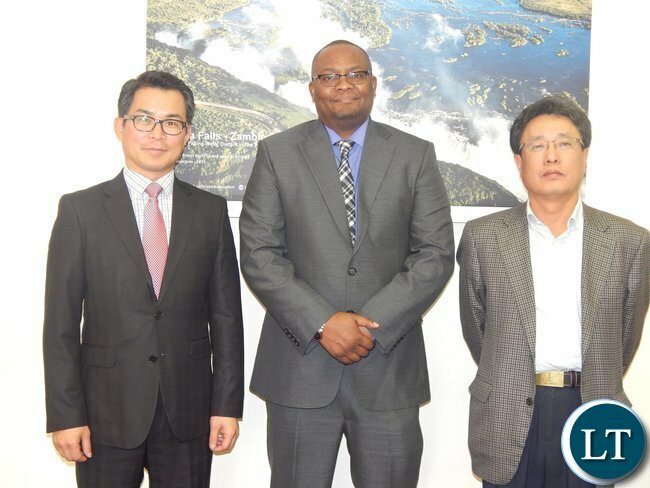 Representatives from South African-based Energyst – Energy Rental Solutions, South Korean KEPCO KPS and LG International will be in the country until Saturday during which they will meet relevant officials in government and other institutions. Energyst is tomorrow expected to have two separate meetings with officials from the Ministry of Mines Energy, and Water Development and another one with ZESCO Limited. The team is also expected to have another meeting with the Rural Electrification Authority. KEPCO KPS and LG International will also have their own meeting with officials from the Ministry of Mines Energy, and Water Development. KEPCO KPS will later on meet ZESCO. The team from Energyst travelling to Zambia comprises Energyst Manager for Sub-Saharan Africa, Mr. Vinesh Surajlall and Engineer, Mr. Gerhard Duvenhage. They have also included a consultant, Mr. Chisakula Kaputu who is Chief Engineer for South African-based Saku Energy Enterprise. KEPCO KPS will have its Chief Representative, Mr. Jason Lee while LG International, which is a sister company to the more renowned LG Electronics, is also sending its Chief Representative, Mr. Dow Lee. The three groups will be accompanied by First Secretary for Economic and Trade at the Zambian High Commission in Pretoria, Mr. Mande Kauseni. The trade mission follows separate discussions between Zambia’s High Commissioner-Designate to South Africa, His Excellency Mr. Emmanuel Mwamba and the three entities. Mr. Mwamba had told Energyst – Energy Rental Solutions during meetings last month that the country was facing the most critical energy crisis in 50 years following last year’s poor rainfall and had hoped the company could help find solutions. He had said that the High Commission could not make decisions on the issue but would facilitate so that representatives from Energyst – Energy Rental Solutions could travel to Zambia and meet relevant officials. Energyst is able to install capacity in the ranges of 10 to over 100 megawatts within three to five weeks. The company operates power plants on rental basis across the world. It has completed a 12 megawatts plant in Burundi while others have been installed in the Democratic Republic of Congo and Cameroun. KEPCO KPS has experience in thermal, nuclear, hydro and solar power plant maintenance technology. It has previously undertaken projects in Madagascar, India, Uruguay, Pakistan, Australia, Philippines Mexico, Bangladesh, Kenya and Morocco and has been working with South Africa’s power utility company, ESCO since 2008. LG International is into natural resource development and industrial infrastructure business in emerging countries with growth potential. The company says it has identified various areas of interest in Zambia which include the copper, coal and gold mining sectors. I don’t even know why I am commenting on that Chi Mwamba, I hate his photo poses. He looks so ridiculous in old fashion of posing in pictures. What jobs are Sunday Chanda and Mwamba still fighting for in PF? This hate from ingombe illede creatures will soon swallow them. HH will never rule this country. When they read about what Lungu and Kambwili have said about Luanshya Mine in the news, they will immediately turn around and never think about Zambia again! These clowns have destroyed any investor confidence there was in Zambia with their buffoonery. Mwamba has also started looking like a frog like his brother Kambwili. All sounds well the problem is that we hardly see promised investment come to fruition except in mines. We are doing enough mining with little or no benefits at all so the issue about copper and gold can wait but may be coal mining can go ahead. If some one has a genuine solution to provide 100 megawatts in 3 weeks when the distortion in electricity pricing has been removed,why should it takes ages to have that investor to start operating when we needed them like yesterday? This story sounds good but as investors start meeting the so called “relevant authorities” some will start putting spanners and asking bribes eventually the whole thing will disappear like vapour!We hope this one works!